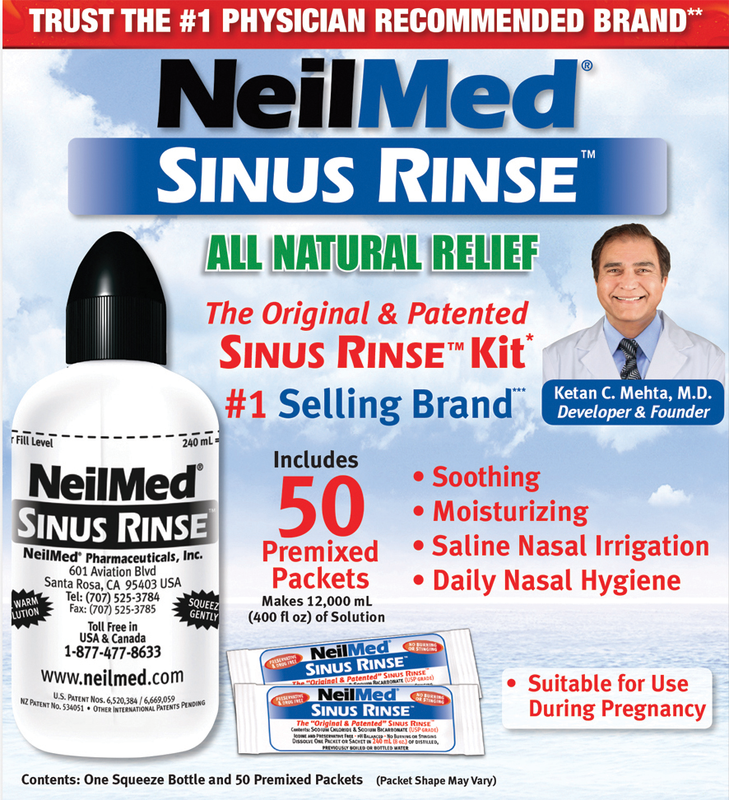 Neilmed Sinus Rinse™ is an easy squeeze bottle system that allows you to deliver the saline solution with positive pressure to clean the nasal passages thoroughly, while maintaining your head in an upright position. You have complete control of the pressure and volume of solution, ensuring a gentle, soothing and therapeutic experience. Daily rinsing is safe and will keep your nasal passages clean, healthy and open. Soothing, no burning or stinging large volume and Low Pressure™ System. Single piece, custom-designed rounded black cap. Preservative, drug, iodine, BPA, gluten and latex-free. Smooth flow with easy squeeze bottle. Empties nearly 95% in upright position.